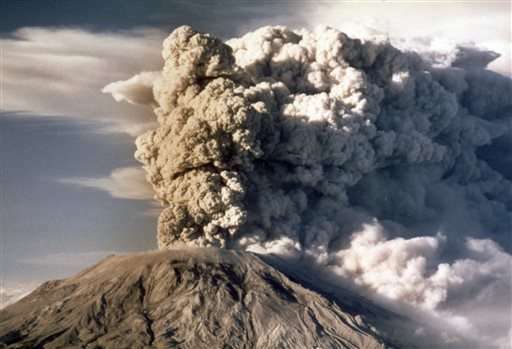 Thirty-five years ago, Mount St. Helens in southwest Washington state erupted, killing 57 people, blasting more than 1,300 feet off the top and raining volcanic ash for miles around. Today, the volcano has become a world-class outdoor laboratory for the study of volcanoes, ecosystems and forestry, as well as a major recreational and tourist destination. 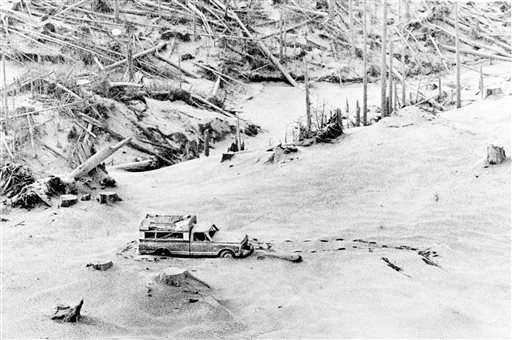 Within minutes of a 5.1 earthquake that hit at 8:32 a.m. on May 18, 1980, the volcano's north flank collapsed, triggering the largest landslide in recorded history. 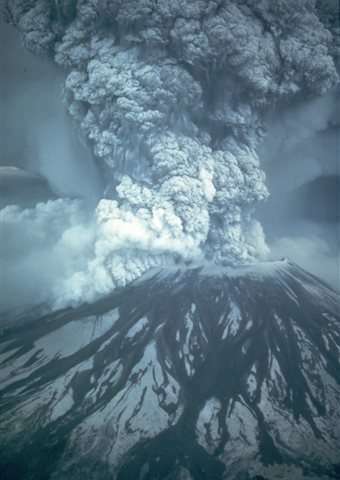 That set off powerful explosions that sent ash, steam, rocks and volcanic gas upward and outward. 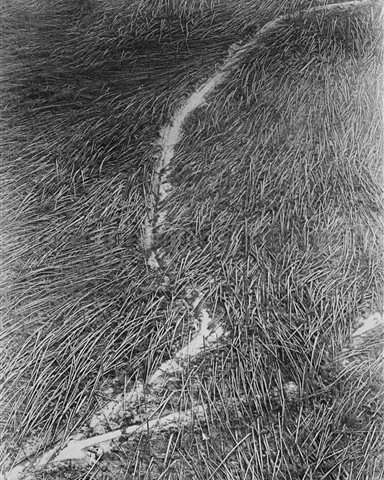 The lateral blast scorched and flattened about 230 square miles of dense forest. 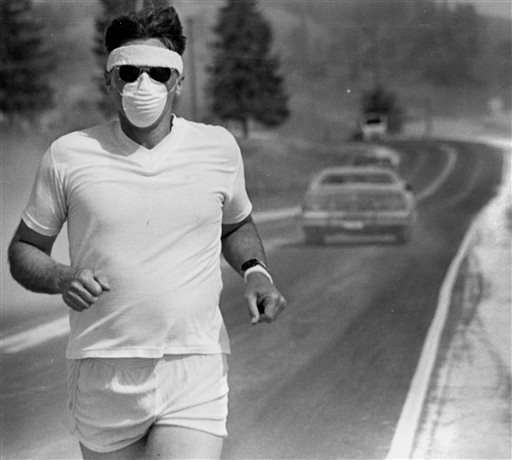 Soon after, a plume of volcanic ash rose over 80,000 feet and rained down as far as 250 miles away in Spokane. Pushed by winds over the next few days, the ash cloud traveled east across the U.S. and encircled the globe in 15 days. 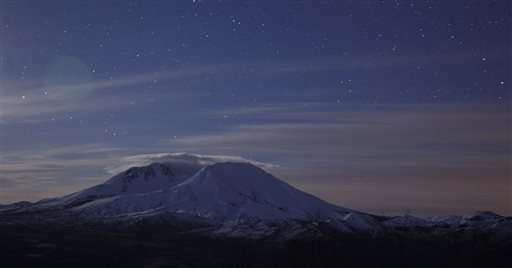 The eruption blew about 1,314 feet off the volcano and created a horseshoe-shaped crater in the mountain, which now stands at 8,363 feet. Yes, the volcano is still active. 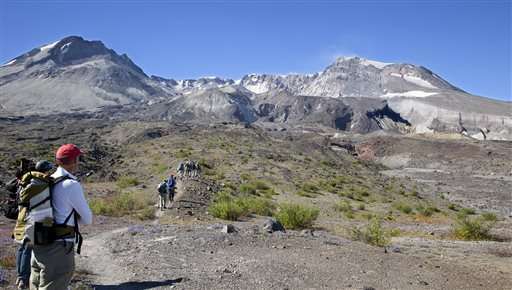 "But it's not erupting now," said Carolyn Driedger with the U.S. Geological Survey. In September 2004, after 18 quiet years, the volcano rumbled back to life with a swarm of tiny, shallow quakes. 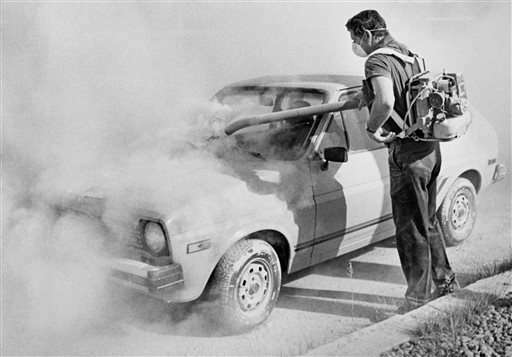 The first of a series of small explosions on Oct. 1 shot volcanic ash and gases into the air. A lava dome began to rise in the volcano's crater, building slowly over three years during the eruption period that lasted from 2004 to 2008. The volcano hasn't erupted since 2008, but it has been changing very subtly. Last year, scientists confirmed suspicions that fresh molten rock has been recharging the volcano since 2008. The magma reservoir about 5 miles beneath the volcano has been slowly re-pressurizing since 2008. 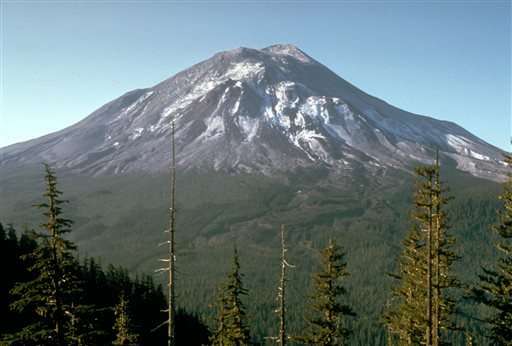 Scientists say Mount St. Helens is the most active volcano in the Cascades and the most likely to erupt again, perhaps in this generation, but they can't predict years in advance when or how big it will be. 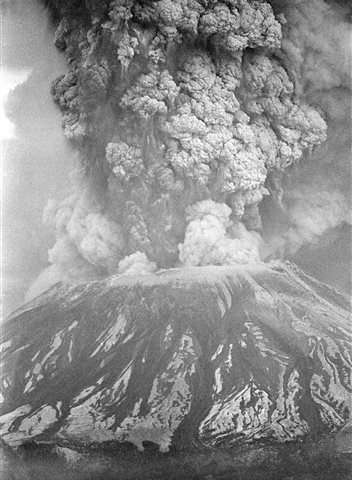 There have been two significant eruptions at Mount St. Helens in the past 35 years. Scientists meanwhile have developed new monitoring tools and installed a network of GPS and seismic monitors to track the mountain's movements. 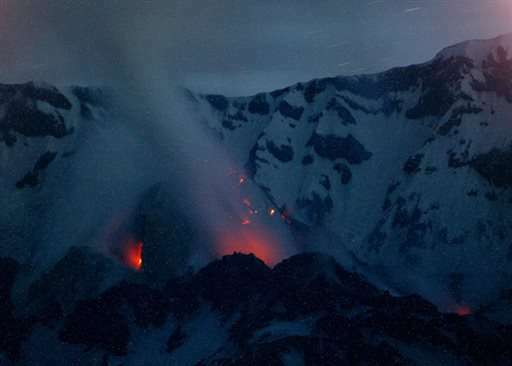 If the volcano reawakens, those monitors can detect signals to help scientists forecast whether an eruption is likely to happen within hours, days or weeks. "We will know right away when there's some abnormal activity," Driedger said. The once-barren gray landscape is coming back to life in the blast zone. Numerous species of plants, amphibians, fish and birds have returned and rebounded; some plants and animals surprisingly survived the blast. "We're still in a rapid rate of change," said Charlie Crisafulli, research ecologist with the U.S. Forest Service. "We're gaining species. We're getting to where all the players are out there. 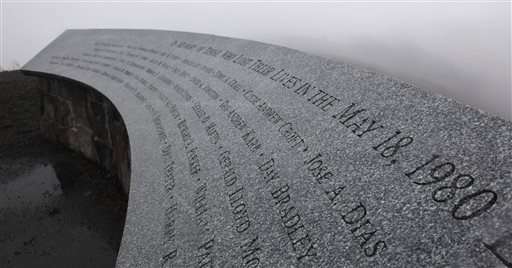 The land is getting filled in." 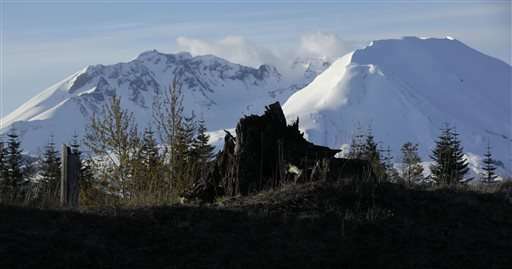 One major noticeable change is the shift in dominant vegetation, from grass and lupine to deciduous shrubs and trees such as willow and alder, he said. A deciduous forest is returning to the landscape, changing the microclimate, light and other conditions and ushering in a turnover in species. "We're really turning the corner in the ecological process," Crisafulli said. It's a story of succession, as important keystone species such as beavers, willow, lupine and others are facilitating the entry of other species.